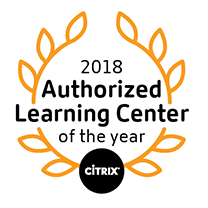 Build your Citrix ADC knowledge and skills by enrolling in this fiveday course. It covers Citrix ADC essentials - platforms, architecture, licensing and functionality - and also focuses on traffic management, including content switching, traffic optimization and global server load balancing (GSLB). You will learn about key ADC capabilities such as high availability, security and performance, and explore SSL offload, load balancing and monitoring. The traffic management curriculum will cover AppExpert policy engines, the Rewrite and Responder features, content switching, and Security Insight. The course is designed for IT professionals with little or no Citrix ADC experience. This course helps prepares candidates to get the CCA-N certification.